Cormier Creative. A Smart Design Studio. Improve your creative business today! Sign up and grab my FREE e-book. 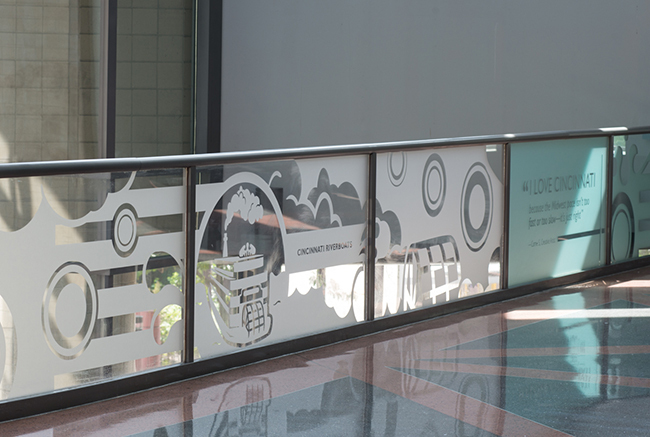 Over the summer, I had the honor and privilege of working on a huge project for ArtWorks Cincinnati. 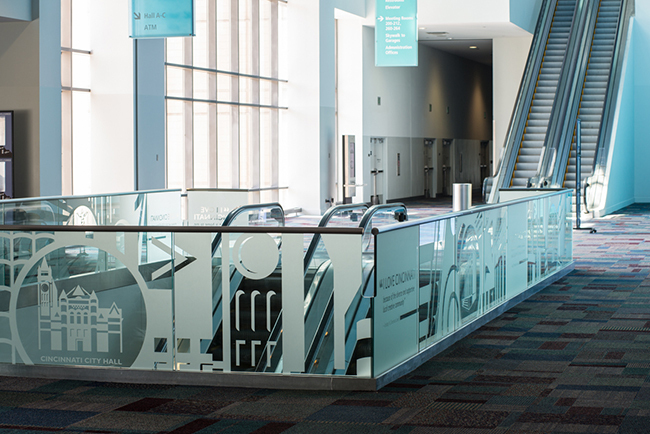 I lead a team of student apprentices over 6 weeks to complete a massive graphic installation at the Duke Energy Convention Center. 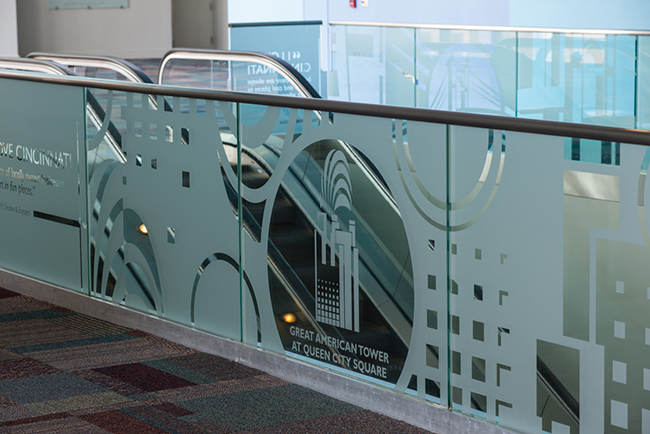 Our objective was to highlight some of Cincinnati’s landmarks. First we created an icon system of some famous structures. 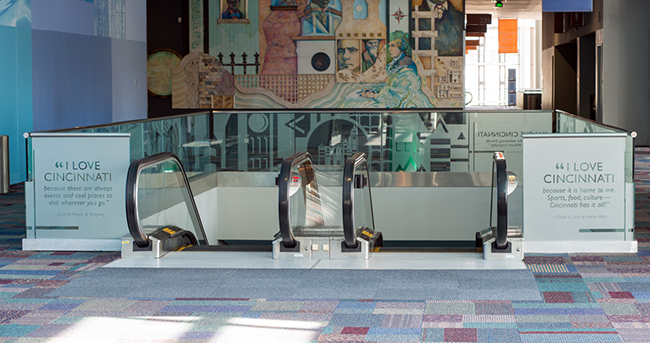 With the icons in place, we created coordinating artwork to cover 50+ huge glass panels. 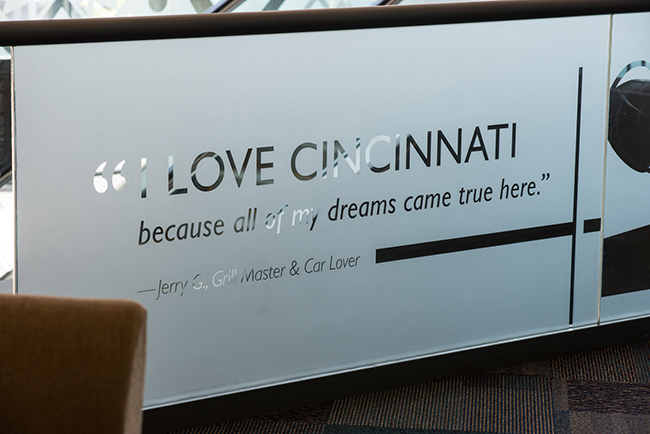 We even included quotes from locals about why they love Cincinnati… a fun touch! Check out the end result in the beautiful photos below, courtesy of J. Miles Wolf Photography. Or, check out this video clip of me on the local news! 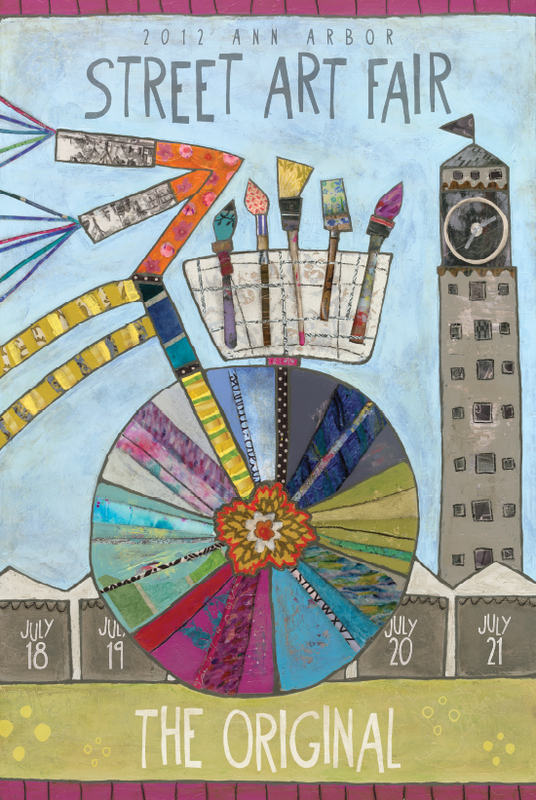 Last year, I collaborated with artist Julie Beyer to create the Ann Arbor Art Show poster. And this year, the poster was recognized by Sunshine Artist Magazine as the “Overall Best” art show poster! So that’s a little toot of my own horn. Check out more work I’ve done for Julie Beyer here. 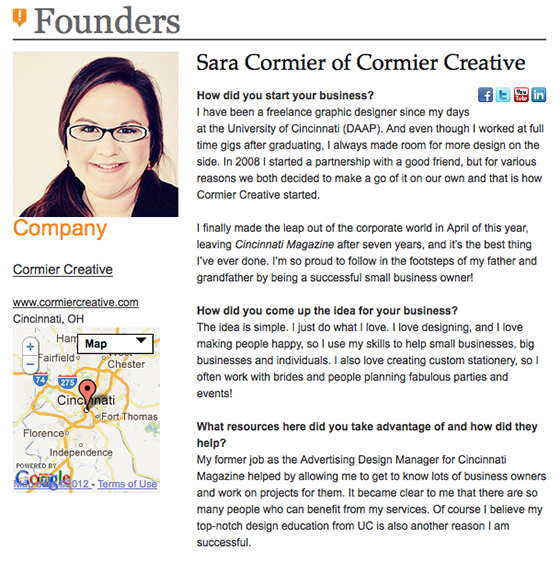 How thrilled was I when a writer from Soapbox Cincinnati called to see if I’d be interested in being featured? Uh, so thrilled! I’ve been getting great feedback from the Q&A portion of my interview as well as the featured article. 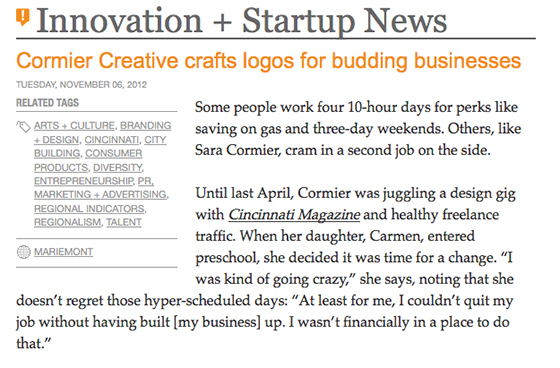 Thanks again to Soapbox for always believing in great start up businesses!